Home » Für 100% Frauenquote » 100% AFGHAN WOMEN ARMY NOW! 100% AFGHAN WOMEN ARMY NOW! 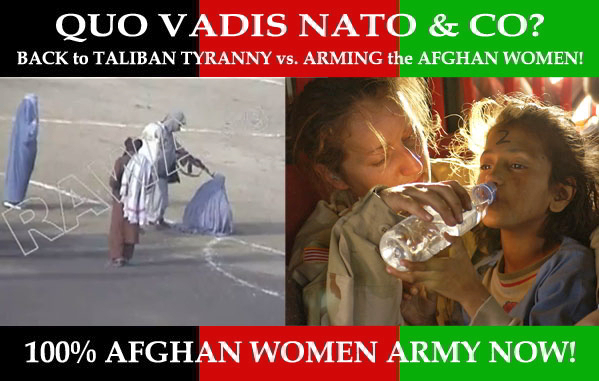 QUO VADIS NATO & CO? BACK to TALIBAN TYRANNY vs. ARMING the AFGHAN WOMEN! Published April 25, 2013 at 599 × 381 in Für 100% Frauenquote. Post a comment or leave a trackback: Trackback URL.